Honestly speaking, there’s little smartphone manufacturers can do at this point to keep consumers happy. The pace and intensity of upgrades in the tech world lead users to believe that achieving new features is an easy task. Therefore, while praise for upgrades is mild, criticism for new ‘blemishes’ is sometimes far more than it ought to be. One of such features is the display notch. Courtesy of 18:9 aspect displays, front bezels are a thing of the past. But, they leave companies with a little problem. Where do the sensors and other components necessary for function go? After all, as much as we’d like, there’s more to a smartphone than its display. To this end, a lot of manufacturers’ solution is a notch at the top. Now, looks like OnePlus will join this list soon. Take a look below for the details. These days we’re seeing a lot of leaks for the OnePlus 6. The rumor mill churns out information sporadically, despite not providing details for a launch time frame. In any case, we do not expect that the OnePlus 6 will launch anytime soon. Therefore, it’s good to see that leaks for the smartphone have started early. These, as expected, point towards flagship level hardware specifications. In addition, one of the earliest leaks for the device also showed a display notch for the OnePlus 6, in the form of alleged images. Now, we’ve got another source which believes that the notch will make it on the smartphone. Folks over at XDA Developers did some digging around in OnePlus’ OxygenOS and uncovered the following. If you’re an active user, then you’ll know that OnePlus released Android 8.1 Oreo for the OnePlus 5T yesterday. It also contains references to the OnePlus 6, dubbed as ‘Enchilada’. These are also visible in the first image above. 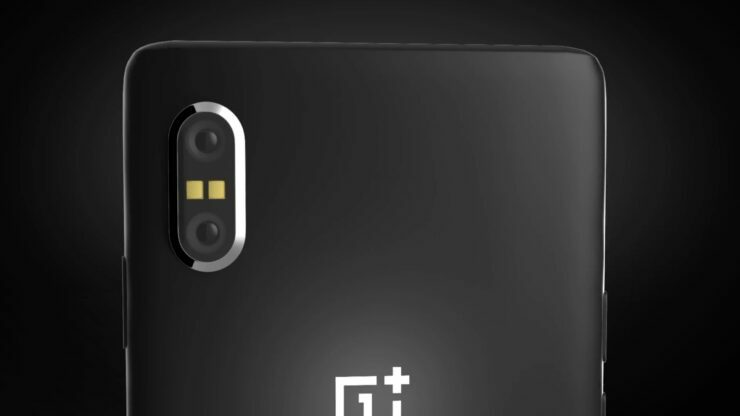 It’s the second one which is more interesting and resembles earlier purported images for the OnePlus 6. The image is labelled as “screendecor_up_img_enchilada_1″ and OnePlus’ engineers use it for app testing. So, safe to say, the OnePlus 6 just might feature a display notch. Which isn’t a bad thing. After all, there are a lot of other features which make a device worth buying. Like an upgrade for Face Unlock and mind blowing processor performance. For that, the Snapdragon 845 along with rumored 6GB RAM will do wonders for the smartphone. Thoughts? Let us know what you think in the comments section below and stay tuned. We’ll keep you updated on the latest.